Google has started the rollout of the Play Store’s latest build (version 8.9) and it has brought a number of changes, such as publicly visible edit history for your reviews on the Play Store and a ‘Notifications’ section in the side menu for some users. Besides these features, an APK teardown of the latest Play Store build conducted by the folks over at Android Police suggests that Google is also working on features like Modular APKs and peer-to-peer app installation and update sharing. Thanks to the new update, a new Notifications section is now available to some users who’ve upgraded to Play Store’s version 8.9. 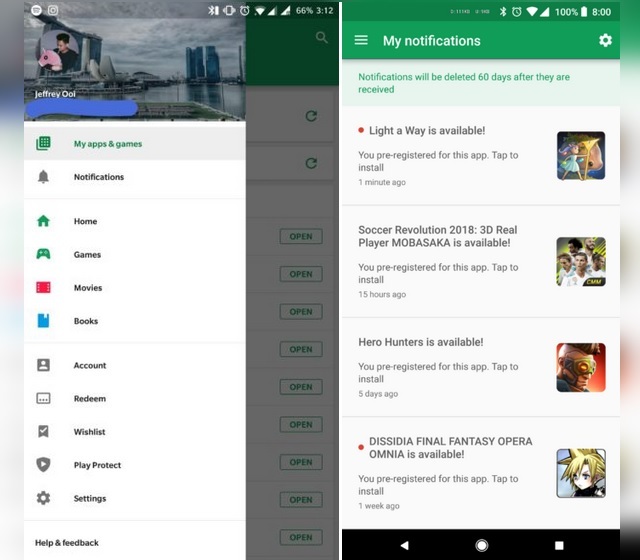 The Notifications tab is located right below the ‘My apps & games’ option in the side menu, and as its name clearly suggests, it will be populated with ‘important notifications about your favorite apps and games’. The information appearing in the notifications section will only be available for 60 days, and will be automatically deleted after the duration expires. Google had recently added the option to view the edit history for an app review posted by users, but the functionality was only available to developers so far. But now, it appears that Google has made the feature accessible to all, which means users too will be able to view the edit history of any review posted for an app on the Play Store. A string in the new Play Store build clearly states that ‘Edit history is public to anyone who can see this review’, however, this functionality too is available selectively. As mentioned earlier, an APK teardown has uncovered details about two new features that Google might soon release i.e. Modular APKs and peer-to-peer installation. The former is listed as ‘Split Install’ in the code, but no additional detail can be extracted from it. As for peer-to-peer install, the functionality is encoded as ‘Google Play Peer To Peer App Install API’ in the latest Play Store build’s code, which further mentions ‘Exchanging app updates with nearby devices’ in the string. The core idea here is that users can share the update for an app with others just like they would share a normal file.